Research and Production Company "REKRAN" engaged in the design and manufacture of crane structures for various industries. It makes no sense to talk a lot about what the design of this kind of objects - this is a very demanding job that requires a deep knowledge of artists and great professional experience. 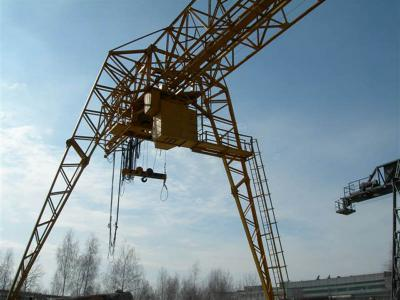 Crane design should profit statically strong as possible of equal strength and stable. In addition, they must be reliable in operation and have the lowest possible weight in order to reduce cost. It is also important to minimize power consumption and in service. In short, such constructions must be competitive in relation to domestic and foreign counterparts. As a first example, consider the gantry KK 12,5-5K K-32 for transporting timber. 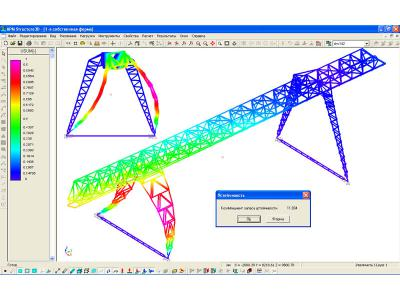 This Grab crane 12.5 m with a span of 32 m and a height of 8.5 m grapple lifting (basic characteristic parameters of the crane shown in its callout). Design feature of this crane is the presence of the trolley that moves on four wheels on rails laid on the bottom of the main farm. The crane has a flat and lattice towers for placing the cab ballasts crane mechanisms. 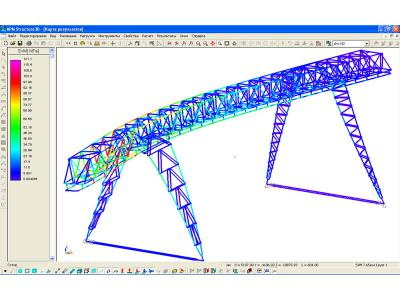 Rigid support is attached to the main span construction using spaced along the length of the passage of the cylindrical hinges at the top and bottom braced farm. Flexible support attached to the Spans and with a hinge and strut. 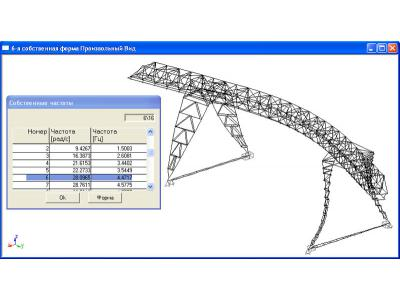 Investigation of stress-strain state of the crane metal structure, made using the module the APM Structure3D . Besides the stability of the crane design was tested. According to the results of this calculation are defined safety factor and buckling. 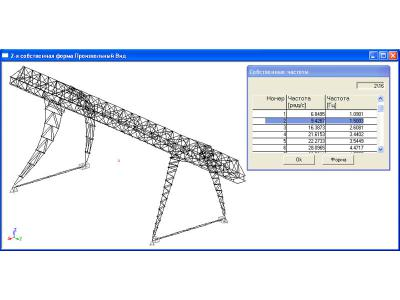 Practical interest calculations dynamic characteristics of the crane design. 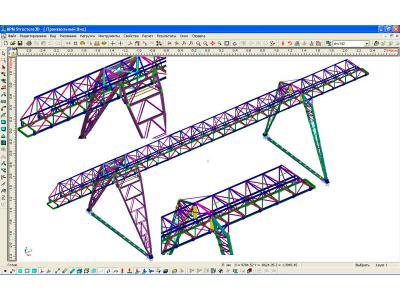 This study has allowed to develop a number of proposals to change the design of supports and support elements of the main superstructure, recorded with further design and led to an adjustment of previously engineered drawings. All of them are aimed at improving the operational reliability of the design. Cornelius Posse, chief specialist, SPC «REKRAN"
Leonid Morozov, chief engineer, director of NPF "REKRAN"
RESEARCH AND PRODUCTION COMPANY "REKRAN"
301602, RUSSIA, Tul., Uzlovaya str. Suvorov, 11.